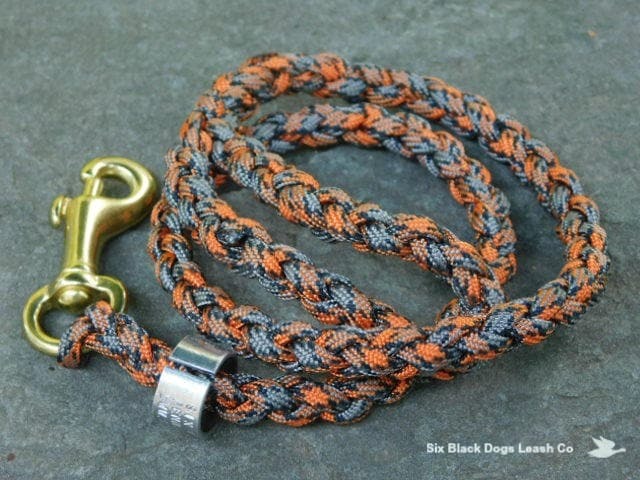 24" Multi Orange/Gray leash with small/medium swivel solid snap snap bolt. This leash has a "thumb" loop instead of the traditional larger hand loop. The smaller loop provides the perfect place for your thumb or just a couple of fingers to lightly hold the leash. Made with 550 paracord using the 4 strand round braid design.